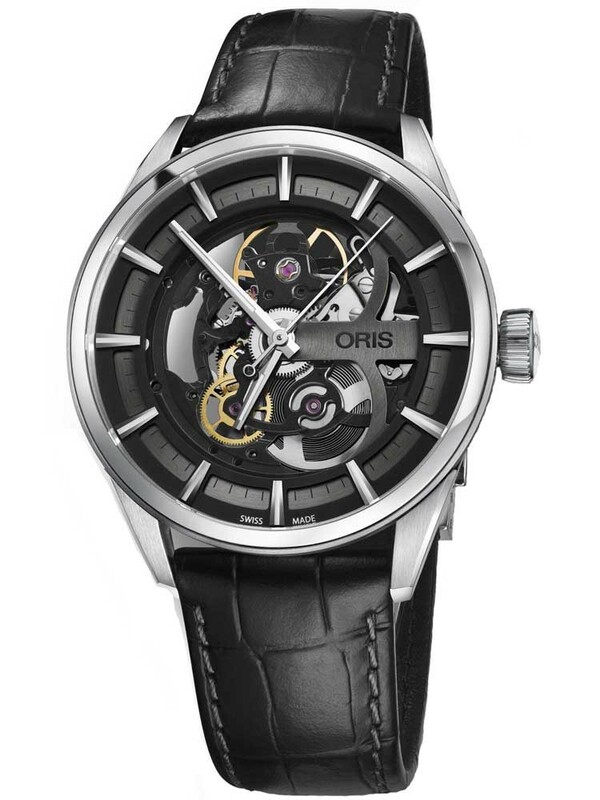 Oris has produced this phenomenal skeleton dial timepiece. Featuring a sleek black leather strap and stunning stainless steel dial casing, the focal point of this watch is the truly awe inspiring dial. The various colours and shades produce an extraordinary outcome where each individual part is clearly visible. 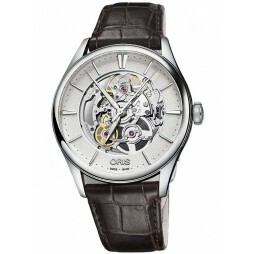 Domed sapphire crystal glass with anti-reflective coating provides the perfect practical watch glass to observe these intricate parts at work, and the opportunity to admire the enchanting mechanical functions each part has. 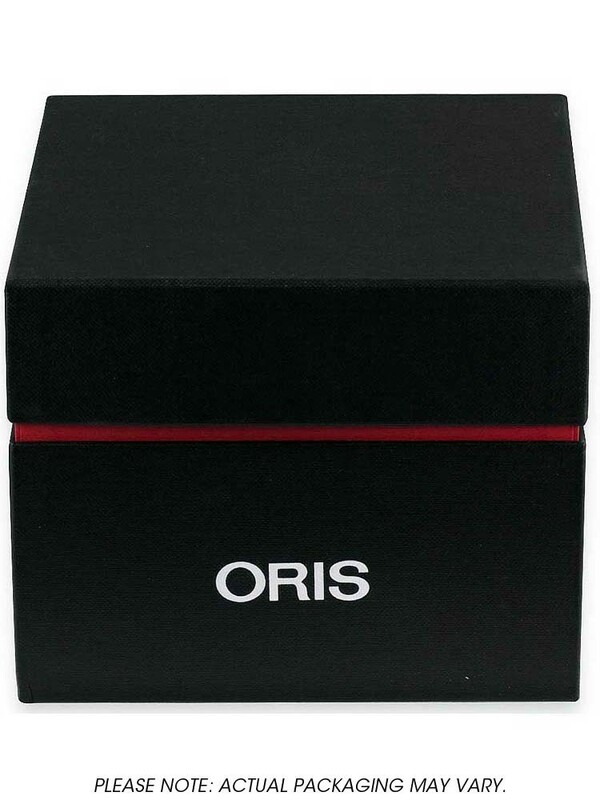 The incredible design and flawless craftsmanship represents Oris’ attention to detail and remarkable quality that they are so renowned for. Guaranteed to be admired by others.